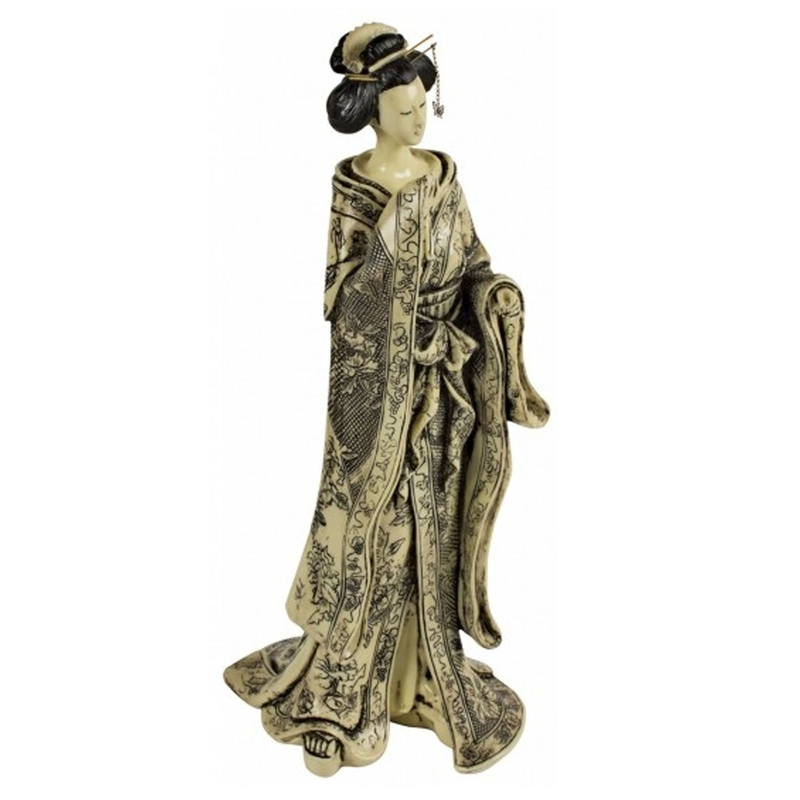 This is a beautiful ornament of a Geisha Girl. It's got an absolutely phenomenal design and a large amount of detail, making it a brilliant ornament. It'd look magnificent in any home, it has an old-fashioned look but the retro style makes it very modern. It's sure to add warmth to any household.